Sinha had proved herself as a lucky charm for many actors in Bollywood. Salman Khan, Akshay Kumar, Rajinikanth and Shahid Kapoor all three stars got big BO movies with the fame actress. It doesn’t matter what critics say; Sonakshi is the only actress who got an incredible fan following. Akshay Kumar got one after another hit in his career when he was going low. While Shahid Kapoor also got an opportunity with ‘R… Rajkumar’ for an amazing comeback in industry. Sonakshi had worked mostly with many fame stars in the Bollywood. Being born in Sinha’s family, she got a stardom and respect in the industry with which she had taken an equal advantage. No.1 Bollywood Superstar also got one after another superhit films, Dabaang and Dabaang 2 with Sonakshi. 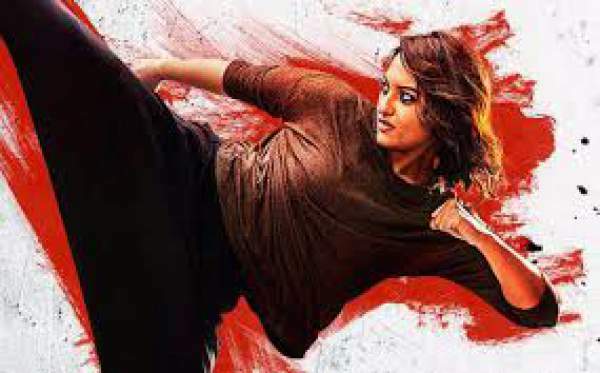 Akira collection will be a game of proving herself in solo performance for Sonakshi. The movie got positive reviews from the movie critics in the industry. The film didn’t face any big complication from sensor board. The film released on 2nd of September as per the schedule with no competition in India. However, the film will face fierce competition in overseas market because of planned release of Narcos Season 2 today. Despite everything positive, morning shows didn’t respond well to Akira collection. The shows opened with an average occupancy of more than 13% but less than 15% throughout the country. The rate is destitute, but it got improved during the noon and evening shows as Akira 1st day collection for morning to night shows stands at 7-9 crore rupees. While the night shows report is yet to be arrived. The film is expected to register occupancy of less than 40% during the night shows minting an approximate figure of 11 crores as Akhira opening day collections. The pre-release buzz and marketing strategy were among the things for which the production house didn’t focus upon. With very weak influence on social media and not a single super-hit song except ‘Rajj Rajj ke’ stands as a factor for this unprecedented response. Anurag Kashyap can be seen as a top cop in the film. He also got a part of interesting fan following after Udta Punjab and Gangs of Wasseypur. The film is directed by AR Murugadoss, the same director who had directed Holiday: A Soldier Is Never Off Duty for Sonakshi Sinha and Akshay Kumar.